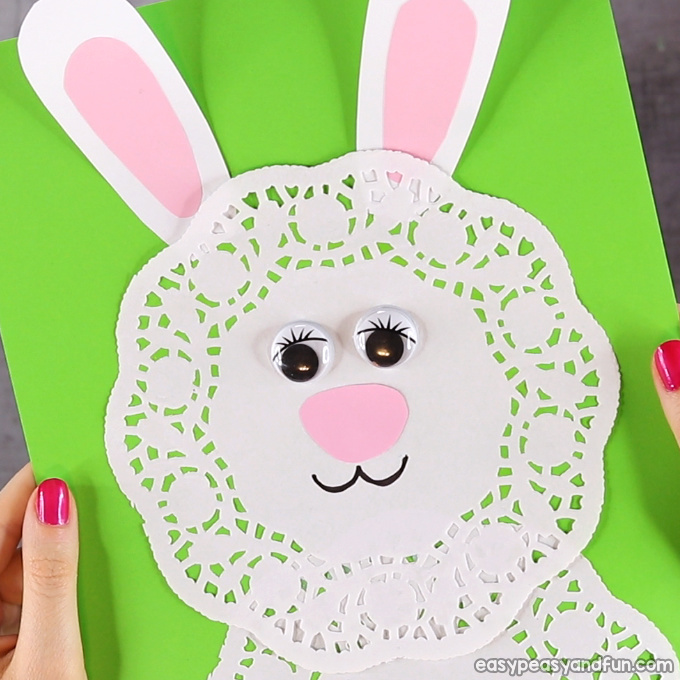 Simple is the best when it comes to crafts and this Easter Doily Bunny craft is just that. 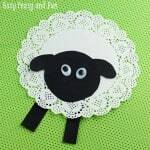 This little guy makes a nice addition to the doily sheep craft, both are easy crafts that can be done with preschoolers and kids in kindergarten. 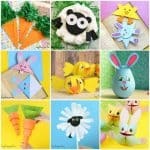 When it comes to Easter crafts for kids, bunnies are one of the most popular projects to make. 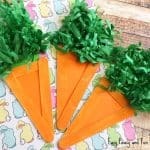 Especially if you want to wish someone a Hoppy Easter. 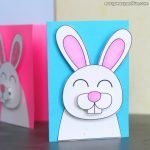 This one is one of the easiest to make and it will turn out cute each and every time. 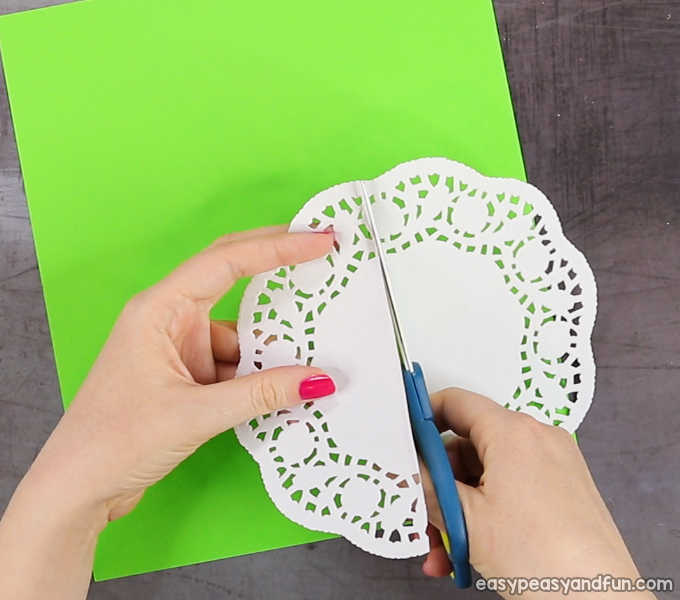 Start by folding one of the doilies roughly in half. 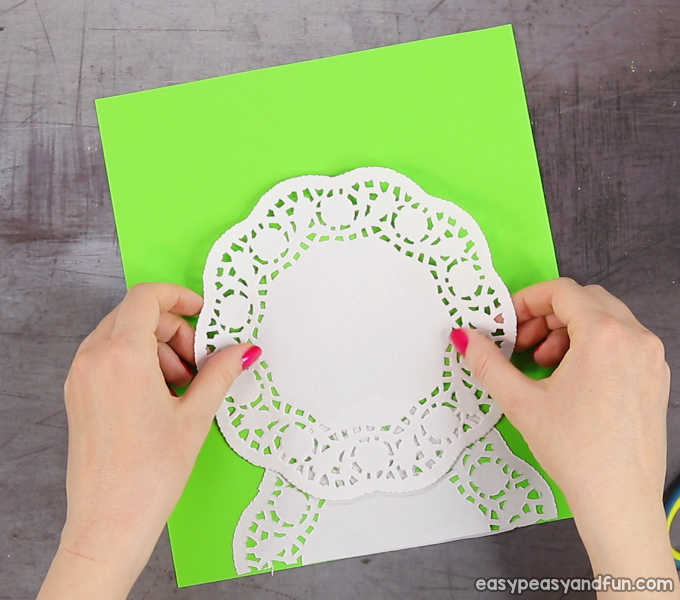 Stick the doily half on the bottom of your base paper. Stick the other doily on top of the first one. 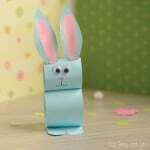 Cut two ear shapes out of white paper and two smaller ear shapes from pink or other paper. 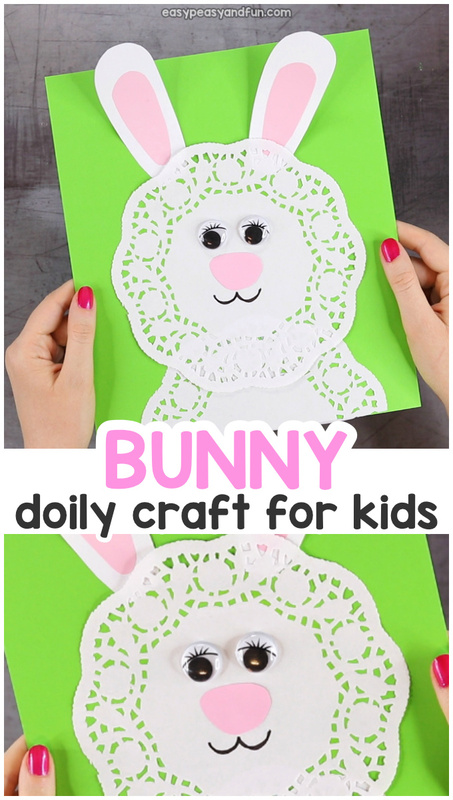 Glue the smaller ear shapes inside the larger ones. 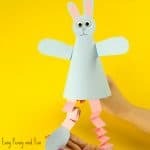 For younger kids, you might need to assist them with this. 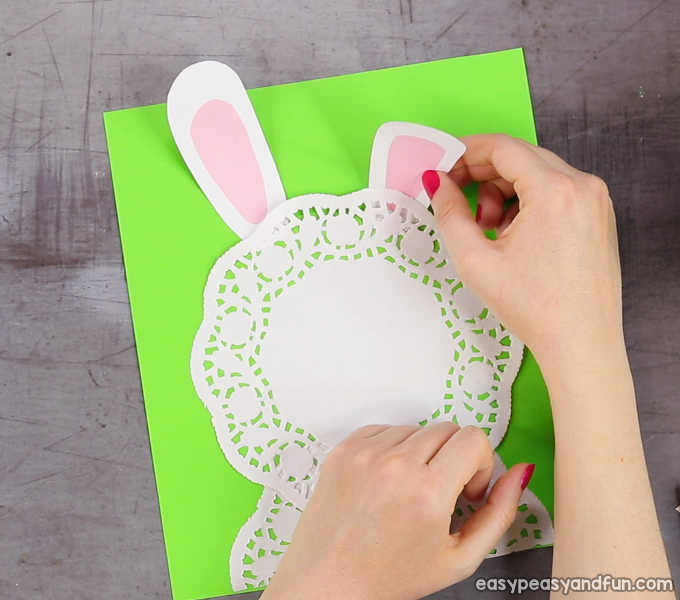 Stick the ears on the doily (or under it). 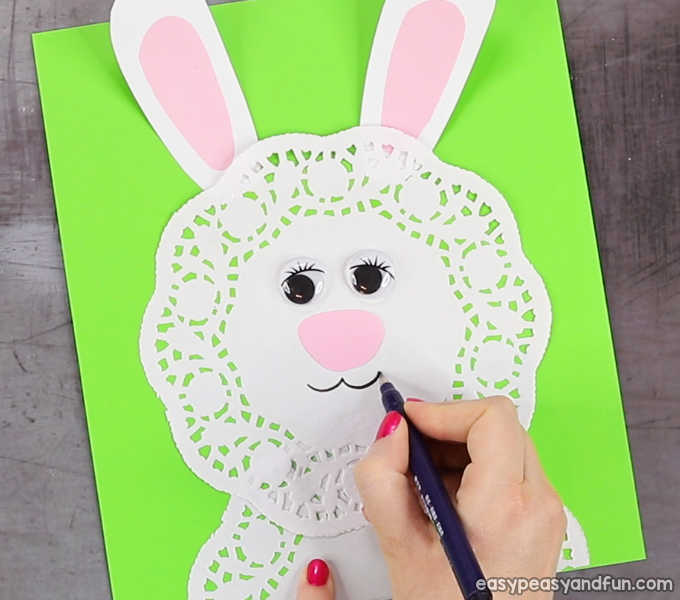 Cut a nose shape and stick it in the middle of the top doily. 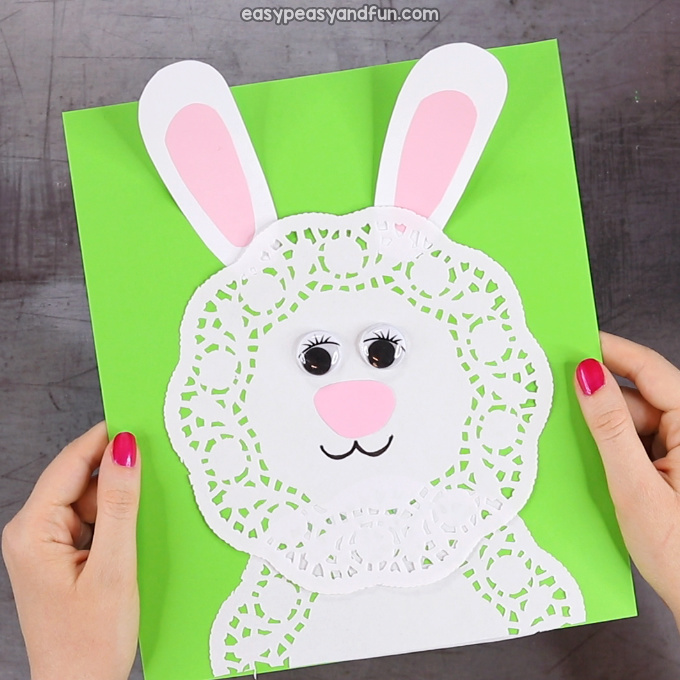 Draw the eyes or use two large googly eyes. Draw mouth or other details if you want. All done! 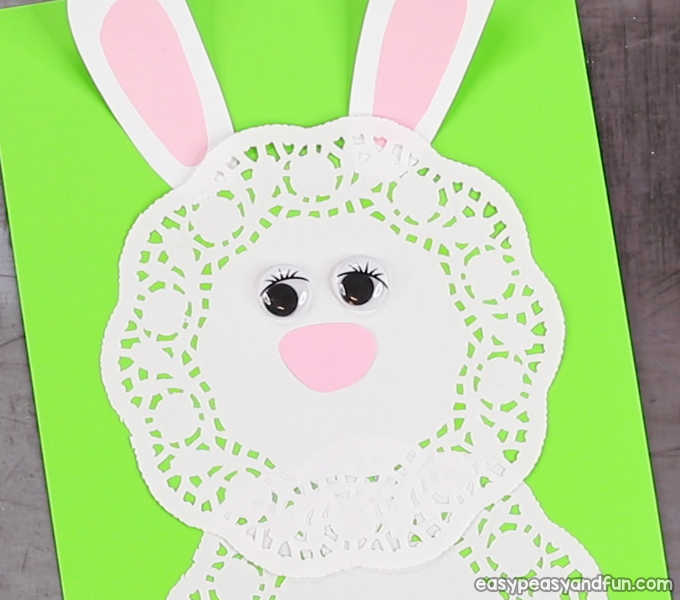 Your Doily Bunny Craft is ready for display.